Charlie Munger and Bill Ackman trade barbs over the morality of each other’s investments. Were the Wharton School of Business to offer a course on how prominent investors should go about criticizing the morality of each other’s stock portfolios, the one-word syllabus would be: don’t. And when it came to the case study of superinvestor Bill Ackman, the two-word advice would be: shut up. That said, Charlie Munger started this week’s embarrassing war of words. 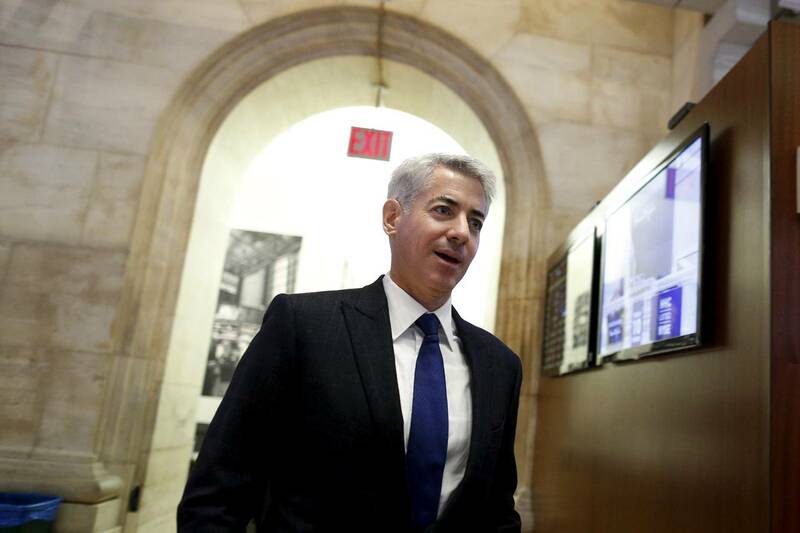 The famous investing partner of Warren Buffett called an embattled Ackman holding, Valeant Pharmaceuticals, “deeply immoral” because its business model rests on buying the rights to drugs and sharply raising their prices. This criticism perhaps seems a tad odd given that Mr. Buffett is always praising businesses with competitive “moats” that create pricing power. But Mr. Munger also used the word unsustainable—and may prove right if Valeant’s behavior invites new competitors or federal regulation of drug prices. The 91-year-old Mr. Munger leavened his critique with approving statements about Valeant, but the 49-year-old Mr. Ackman apparently was not appeased. It should probably be added that Coca-Cola has been around for 130 years, and the obesity crisis is of more recent vintage. What’s more, Coke will happily sell customers Diet Coke, and is no more responsible for America’s bad eating habits than GM is for its bad driving habits. Mr. Ackman has produced some stunning successes as well as some failures as an activist investor, but he is best known lately for his short-sale of Herbalife, which he calls a pyramid scheme. He says any personal profits from his Herbalife crusade he will donate to charity. Doesn’t that last part niggle at his investors just a bit? Wouldn’t they be happier if he were in it for the financial reward rather than moral vindication? And where exactly is Mr. Ackman’s investment thesis taking his investors if he’s more concerned with which products consumers should buy than which products they actually choose to buy? Mr. Munger’s real offense was likening Valeant to the 1960s go-go conglomerate IT&T, implying that Mr. Ackman had been taken in by a market fad. Mr. Munger did not mention Mr. Ackman and perhaps failed to suspect his words would be received as a stinging rebuke from a legend. But the result has not been productive for either man. Mr. Ackman finds himself queried in the New York Times for the “morality” of his own investments in junk food and companies that engage in tax minimization. Mr. Buffett, who wasn’t even a participant in their argument, finds his numerous hypocrisies cataloged in a Journal story playing off the Munger-Ackman “morality” debate. It may be time to recall that CEOs and fund managers are not Jesus. They are not supposed to be “deeply moral,” to use Mr. Munger’s words, but deeply pragmatic about making their shareholders money by increasing the market value of the assets they control—and usually not because they are filled with agape for shareholders, but because they are shareholders themselves. There are other players in the game—customers, competitors, regulators, the tort system—in charge of adjusting the terms of acceptable behavior in light of changing public standards and moods. Voilà, a highly workable economic system. Vanity in a professional can be an asset right up the point where it occludes professional judgment. Mr. Munger might have satisfied himself with explaining why Valeant’s strategy was self-defeating without dragging morality in. Mr. Ackman has a long career ahead of him. His investors might appreciate some sign that he hasn’t lost sight of Job One. Posted on November 16, 2015, in Postings. Bookmark the permalink. Leave a comment.